001 This week's been a food week with trying new recipes and making old favourites. 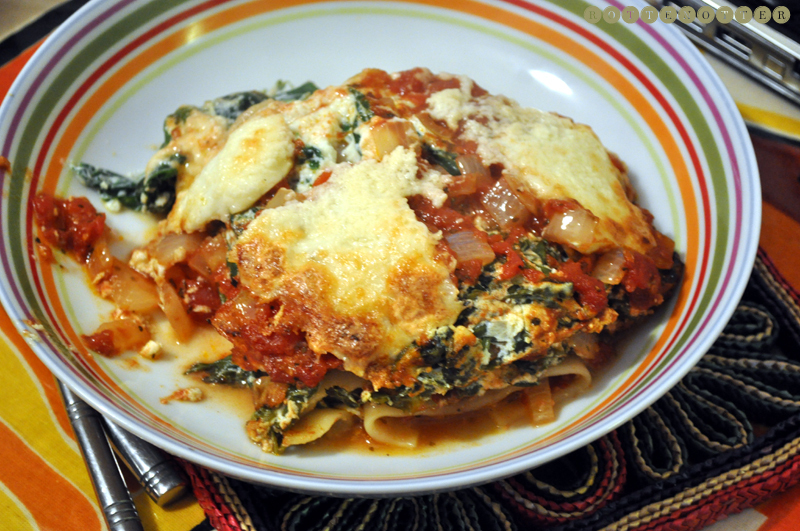 Made a spinach and ricotta lasagne using this recipe. It may not look the neatest but it tasted amazing. Even better the next day when the flavours had intensified. 003 Had some double cream left over from the night before so made a passion fruit syllabub. Not the healthiest of deserts but a nice treat once in a while. 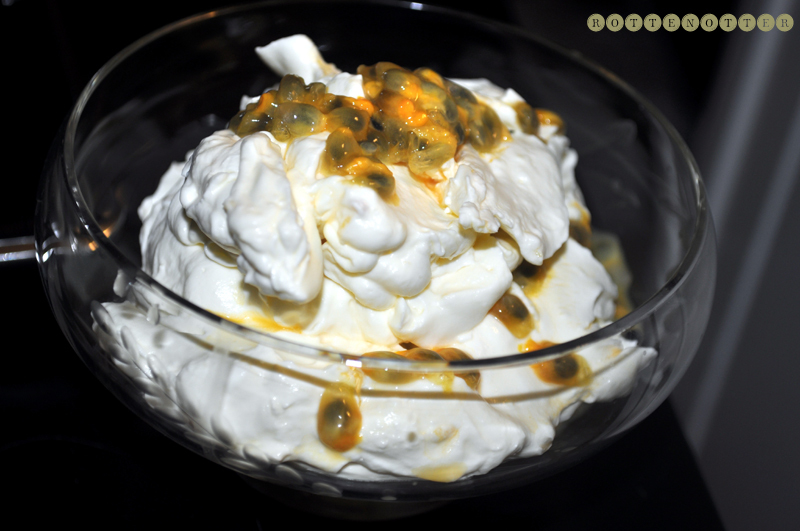 It's a really simple recipe, sugar, lemon juice & zest, double cream and passion fruit. The recipe also has white wine in it but since I'm not a wine person I skipped it. 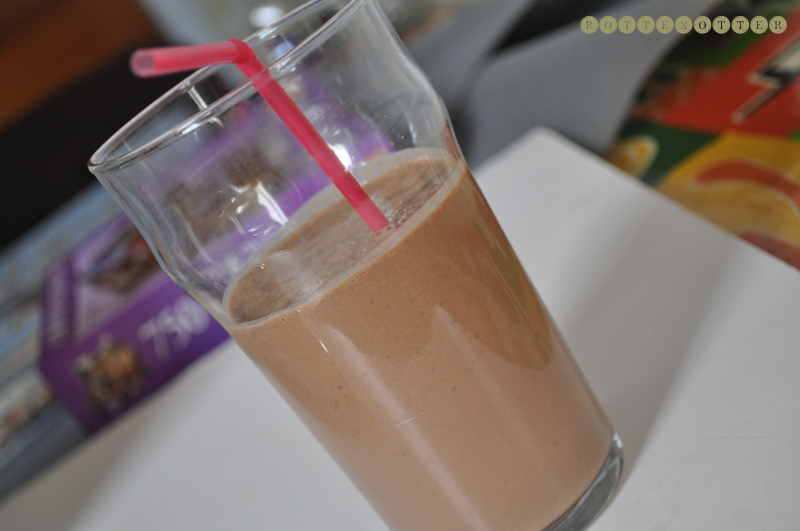 004 Also discovered this amazing chocolate-banana-peanut butter milkshake while reading KatieCakes. A little unknown fact about me: I only eat bananas if they're green or have only just started to turn yellow. I hate the taste of ripe bananas which is where banana bread comes in handy. I also want to buy a proper milkshake glass, they just don't look good in pint glasses! 004 I've also made pizza, fajitas, bean casserole and am making chilli tonight. It's hard finding a good vegetarian recipe book or blog so if you have any recommendations let me know!